Looking for a relaxing way to spend a leisurely afternoon while in Marlboro New York? 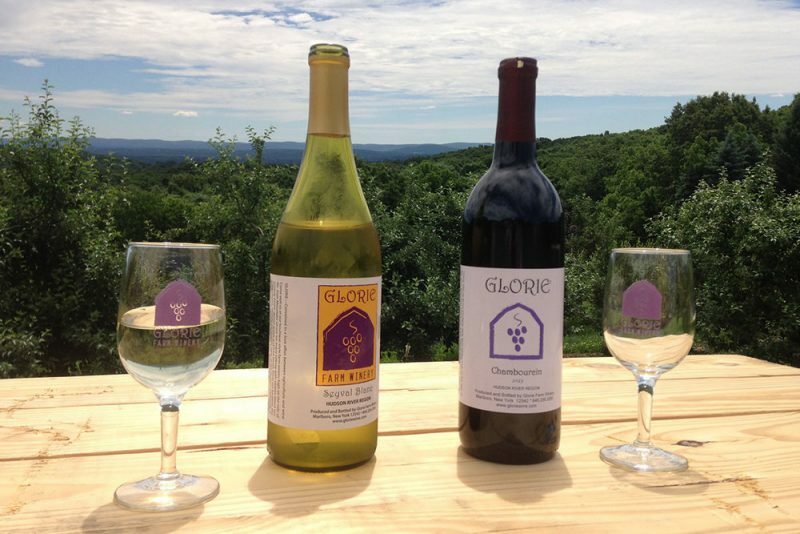 Then venture over to Glorie Farm Winery where you can taste one of their many delicious wines, learn about their winemaking process and enjoy the stunning, panoramic views of Hudson Valley. Located in Marlboro, New York, near the top of Mt. Zion Mountain, Glorie Farm Winery was established in 2004 and was an extension to their fruit farm – Glorie Farms. This boutique winery produces on average, 2,000 cases of wine each year, primarily from grapes that were grown on their farm. Their wine list includes red, white and fruit wines ranging from dry to semi-dry to sweet. They also produce European varietals and hybrid wines – which means that there is sure to be a wine that will please every palate. Some of their wines include a Chardonnay Riesling, Rusty Apple Currant, Jumpin Jazz, Rumple Pumpkin Estate, Black Currant Wine, Red Quartet and of course their Double Gold awarded Red Monkey red blend. Their tasting room is open from April through December and wine tastings are $8 per person for a tasting of 6 wines and includes a stemless logo tasting glass. After your tasting, you can purchase a bottle of your favorite wine and enjoy it sitting on their sprawling lawn overlooking Hudson Valley. Glorie Farm Winery is owned and run by Doug and MaryEllen Glorie along with winemaker Kristop Brown. 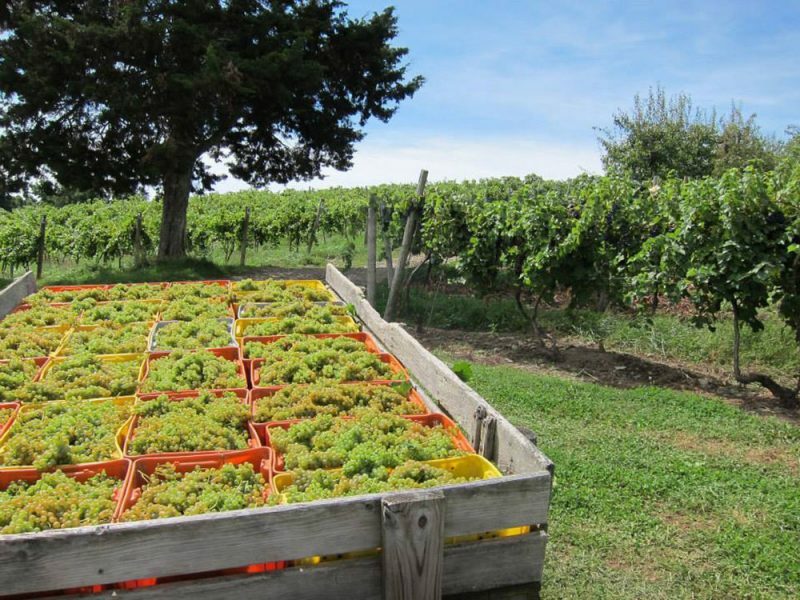 The winery produces nearly all of the grapes used in their wines onsite. They have more than a dozen varieties of grapes on trellis, which accounts for approximately 90-95% of what’s in Glorie wine bottles. As a farm winery the Glorie Family does it all, from growing and harvesting the grapes to making and bottling the wine, to serving and interacting with all of their guests. The family is involved in every step of the process, ensuring that their product speaks volumes of their passion for what they do. 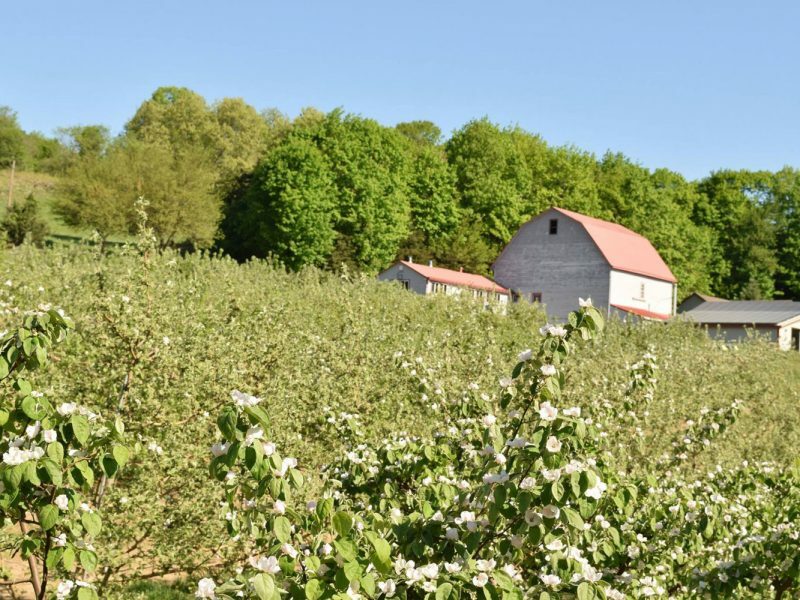 The farm produces about 20 acres of fruit including peaches, nectarines, pears, apples, quince, black currants and wine grapes – many of which find their way into Glorie Farm Winery wines. Guests are also able to purchase some of their fresh fruit directly from the farm when in season which will enhance your visit even more. Whether you are looking to go out for a fun afternoon with friends or a getaway on a romantic weekend for two, forget about the hassle of about driving, parking or designating a driver – instead allow us to take care of you. When you hire one of our limos to take you on a winery tour regardless of whether it’s to one or multiple wineries, your outing begins the moment you step inside one of our vehicles. When you hire a limo, town car or even a party bus to bring you to your destination, the only thing you’ll have to concern yourself with at Glorie Farm Winery is which wine you want to try next!